How can we encourage consumers to think about the quality of food that they eat and empower them to get closer to nature? How can we create some powerful trial opportunities to consider a new cereal and/or snack bar? The Day of Change was brought to life by creating classic pop-up experiences. This allowed Australian’s to try the brand then make a pledge on the Be Natural web page or Pledge Wall. Individual pledges varied however the theme to get “closer to the natural world” through simple actions was consistent. 330,000 samples of Be Natural cereal and snack bars were distributed nationally throughout locations including the CBD, In Mall, at the Easter Show and via Honesty Boxes. The consumer enthusiasm, the integration with the broader campaign and the resulting sales made it one of 5iveSenses most successful collaborations in the last 10 years. 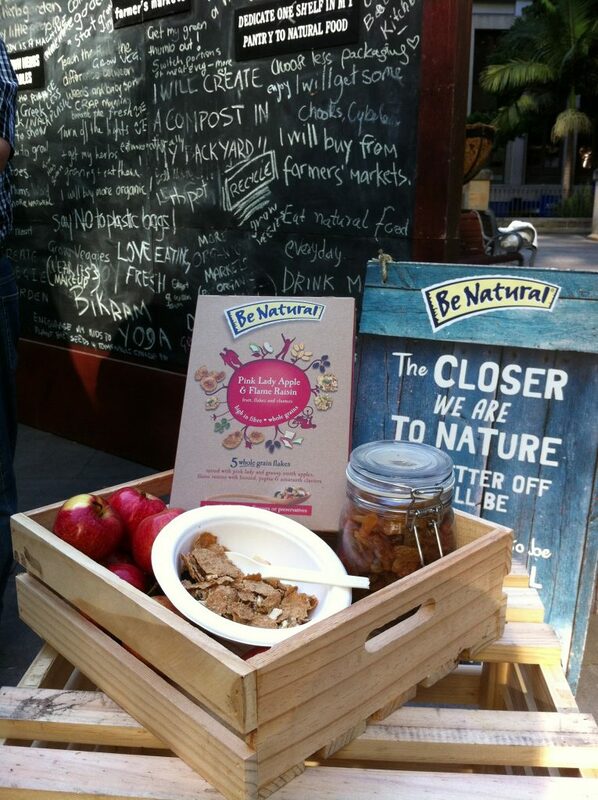 Team 5iveSenses completed an Australia wide multi-platform Experiential Marketing campaign for Be Natural. Introducing the Day of Change concept, where consumers were able to make a pledge to a better lifestyle and overall health.This brief article outlines an overview of the campaign including the challenge, solution and finally the results. This campaign was activated in March 2013.